In 1989, artist Charles L. Madden showed John Cardinal Krol the chalice that Mr. Madden had made for Pope John Paul II. While Charles L. Madden was still in el­e­men­ta­ry school, his moth­er of­ten took him from their Ken­sing­ton home to Sat­ur­day-morn­ing classes at the former Phila­del­phia College of Art at Broad and Pine Streets. By the time he was in eighth grade, he was drawing oc­ca­sion­al guest cartoons for the Phila­del­phia Eve­ning Bul­le­tin, mentored by Bil Keane, the art­ist known for the na­tion­al­ly syndicated Family Circus. The art ed­u­ca­tion that formed him resulted in Madden works ranging from stained-glass windows at Gwyn­edd Mercy College to a stat­ue of St. Pe­ter in Gal­i­lee. Mr. Madden, 78, of Ma­ple Glen, Mont­gom­ery County, a foun­der of four com­mer­cial art firms in the Phila­del­phia re­gion, died of re­spi­ra­to­ry fail­ure Mon­day, May 7, at Abington Memorial Hospital. For ar­tis­tic in­spi­ra­tion, "his mind would go from one thing to an­oth­er," Mr. Madden's wife, Mary Ter­esa, said in a phone in­ter­view. "At one mo­ment, it was to be a sculp­tor. Then he would make some­thing ap­pear that had noth­ing to do with sculp­ture. "Paint­ing or glass, it went all over the place. Be­cause every­thing is art." Though his artworks gave Mr. Madden an in­ter­na­tion­al pres­ence, his work was vis­i­ble closer to home. In Sep­tem­ber 1989, he com­pleted his 20-month res­to­ra­tion of Rob­ert In­di­ana's one-ton LOVE sculp­ture, which was returned to where it now stands, di­ag­o­nal­ly across the in­ter­sec­tion of 15th Street and JFK Boulevard from Phila­del­phia City Hall. Mr. Madden could work smaller. Earlier in 1989, he made a sil­ver-and-gold chal­ice for Pope John Paul II to use dur­ing the be­at­i­fi­ca­tion cer­e­mo­ny for Fran­ces Siedliska, foun­der of the Sisters of the Holy Family of Naza­reth re­li­gious com­mu­ni­ty. Oth­er works had re­li­gious motifs, too. For the 41st International Eucha­ris­tic Congress of the Ro­man Cath­o­lic Church in Phila­del­phia in 1976, a news­pa­per re­port stated that he designed the robes the car­di­nals wore. "I guess he felt drawn" to re­li­gious artworks all his life, his wife said. "He had a very deep re­li­gious faith" as a Ro­man Cath­o­lic, she said, and he earned sev­er­al commissions from the Fran­cis­can re­li­gious or­der. But his com­mer­cial work was prom­i­nent, too. A 1983 Inquirer sto­ry reported that he had designed two tapestries for the DuPont Co. that were wo­ven in Au­bus­son, France. And a 1993 Inquirer sto­ry said he had shipped a 48-foot sculp­ture, The Faces of Liberty, to a U.S. State Department fa­cil­i­ty in Cheng­du, Chi­na. Born in Phila­del­phia, Mr. Madden graduated from Mastbaum High School, where he was val­e­dic­to­ri­an at his grad­u­a­tion in 1952. With a full schol­ar­ship, his wife said, Mr. Madden earned a bach­e­lor's degree in fine arts from what is now the University of the Arts in 1956 and served in the Navy as a pay clerk un­til 1959. He co­founded the de­sign and ad­ver­tis­ing firm Madden, Baron & Baron and founded the Con­tem­po­rary Stained Glass Corp., Urban Arts, and Ar­chi­tec­tur­al Features L.L.C. Appointed to the Phila­del­phia Art Commission by Mayor James H.J. 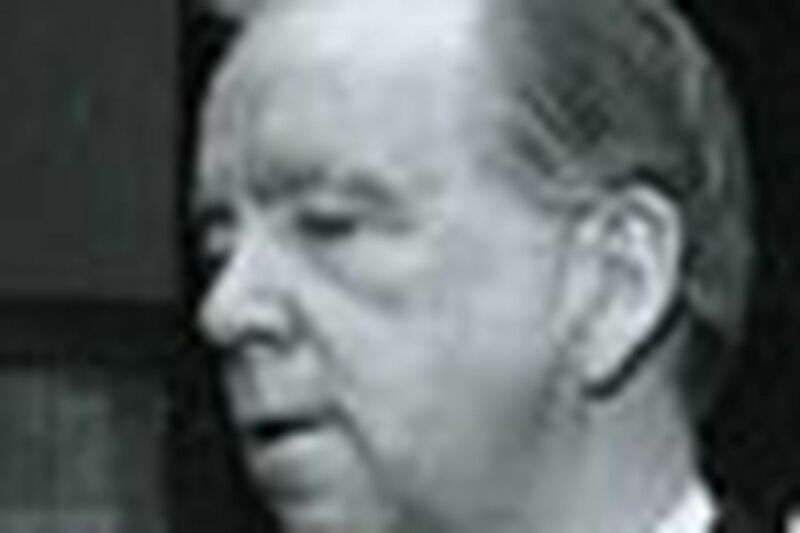 Tate in the 1960s, he served un­til 1988. In addition to his wife of 55 years, Mr. Madden is survived by sons Charles L. and Chris­to­pher; daugh­ter Ter­esa Mo­ran; and sev­en grandchildren. His son Mi­chael died in 1981. Services took place earlier in May. Con­tact Wal­ter F. Naedele at 215-854-5607 or wnaedele@phillynews.com.